Tassels, tassels, tassels! Is there any object that that doesn’t benefit from having a tassel added to it? I would say not. This month’s Oriental Trading Supply was baker’s twine and with all the colors they had available, I knew immediately I wanted to create a few tassels. 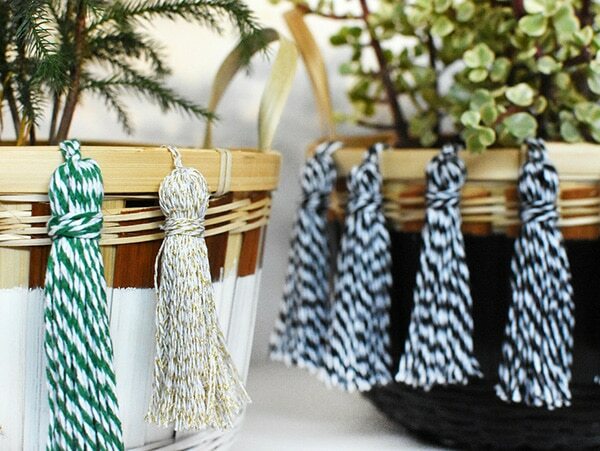 Today I am sharing how to create Baker’s Twine Tassel Baskets for your home. This month’s Supply of the Month with Oriental Trading was baker’s twine and I used black, gold and a gorgeous emerald green color! 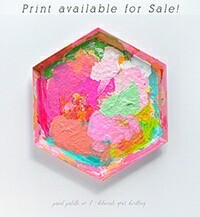 Please head over to Oriental Trading’s blog to see my full supply list for this fun DIY project. 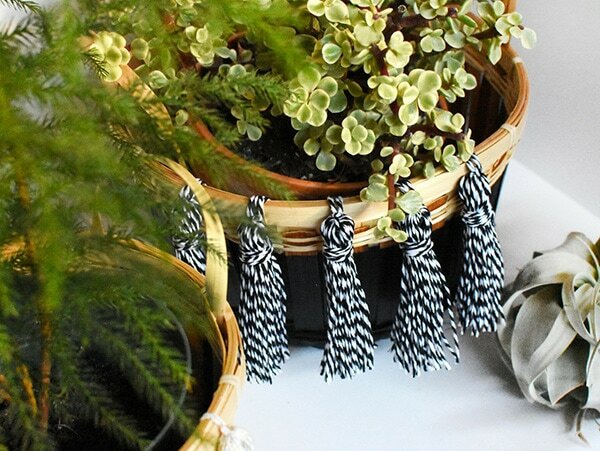 I also share how to make quick and easy tassels in the tutorial. 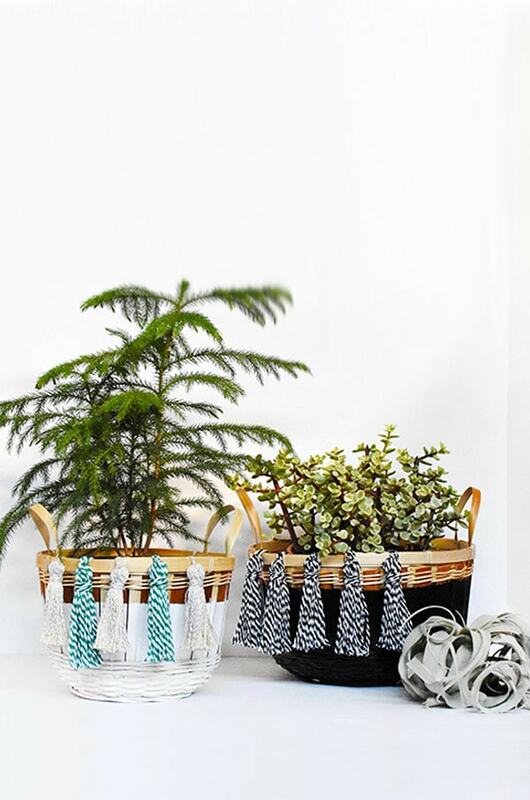 I think baskets are the perfect vessel to hold all plants, so adding a few tassels to Oriental Trading baskets was just ideal! 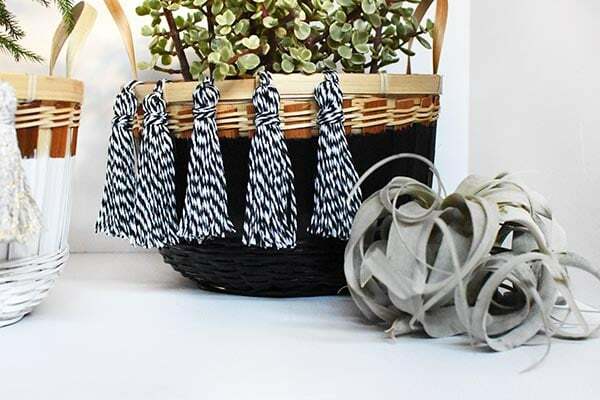 Be sure to see the full step by step tutorial for this fun Tassel basket head to Oriental Trading’s blog. 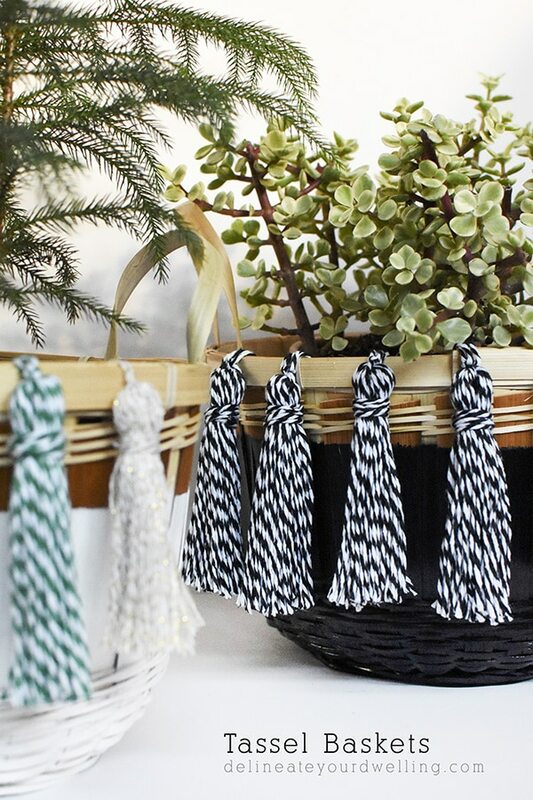 Carrie from Dream Green DIY created this Baker’s Twine Garland Banner. Haley from Design Improvised created a Pom Pom Bookmarks and Pencil Toppers. Sara + Melissa from Alice and Lois made a Baker’s Twine Tassel Cake Topper this month.